For many people, the key question is — what is Amyris becoming, and when, and where and how? We reported on Amyris’ progress most recently in “The New Colossus aims to unlock its Golden Door” and in Two Up: Amyris, Queensland gamble on farnesene for SE Asia. 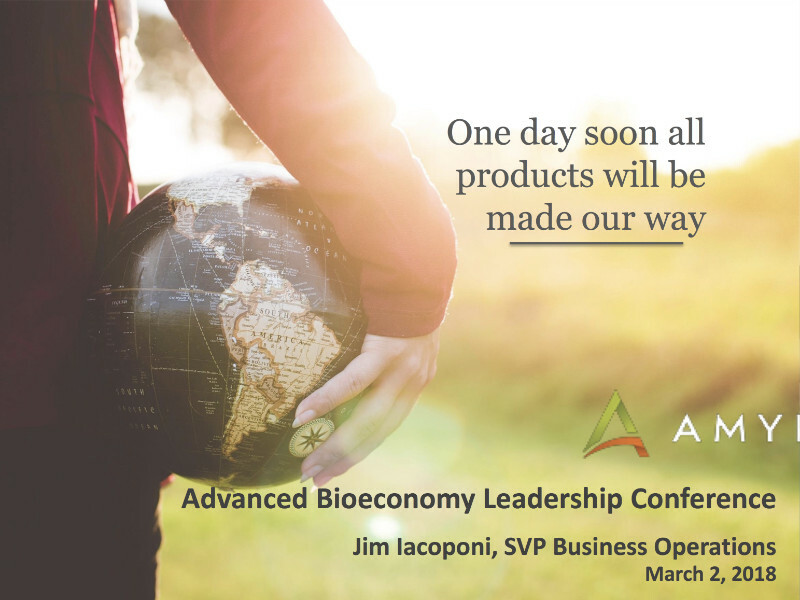 Meanwhile, Amyris’ Jim Iacoponi gave this illuminating overview of Amyris’ promise and progress on multiple fronts at ABLC 2018 in Washington DC.